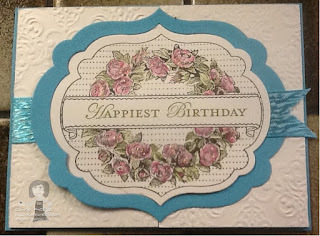 Rubber Room Ramblings: APOTHECARY ART BIRTHDAY! One more awesome birthday card! This is the card my great friend, Lisa, gave to me for my birthday. 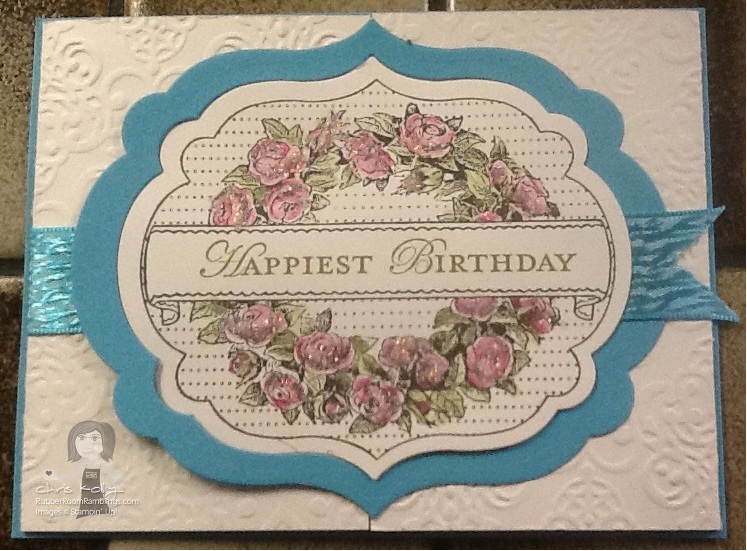 She used the Apothecary Art stamp set and did a little watercoloring on the flowers. She cut out the pieces with the Labels Collection Framelits for the Big Shot. This card opens from the middle, and it is such a cool little trick that I am going to be sharing it in an upcoming class. If you look closely, you can see at the bottom where the two white pieces meet.